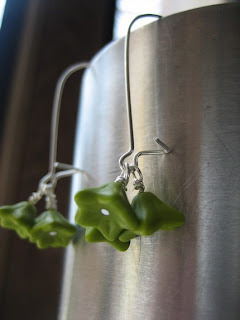 Just so you don't think I only write about expensive things, here's a lovely pair of earrings from letitiah on Etsy. OK, these are fabulous. Animal alphabet tees with great letters, great animal pictures, the text upside down just in case your kid can read. My favorites are the newt and the covetable camel. 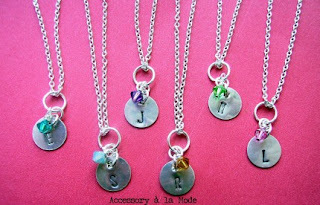 You may have noticed that I do love stamped name jewelry. Here's some lovely stuff I discovered on that disastrously addictive Etsy. I like the big loops above the discs a lot, and the crystals. I get a lot of e-mails about promotions and sales. 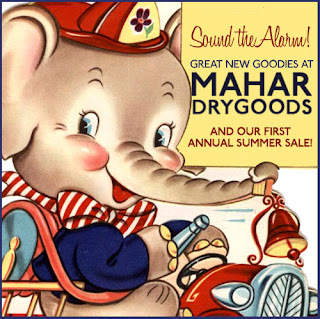 Often I just delete them, but I always get excited when the mail comes from Mahar Dry Goods. They just have so many covetable things. For instance, this, by Zeichen Press, is just fantastic. 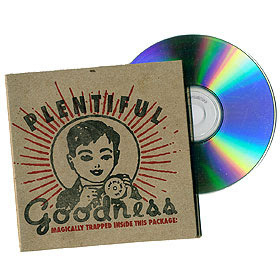 It's a ridiculously cute CD case you can use when you want to give a homemade CD as a gift. Because, you know, how embarrassing is it to give a boring old plain CD.